A personal branding guide from a personal branding success. Thank you to Neil Patel and Quicksprout Traffic U for sponsoring the 8th Annual JobMob Guest Blogging Contest. Wouldn't you like to follow in his footsteps? 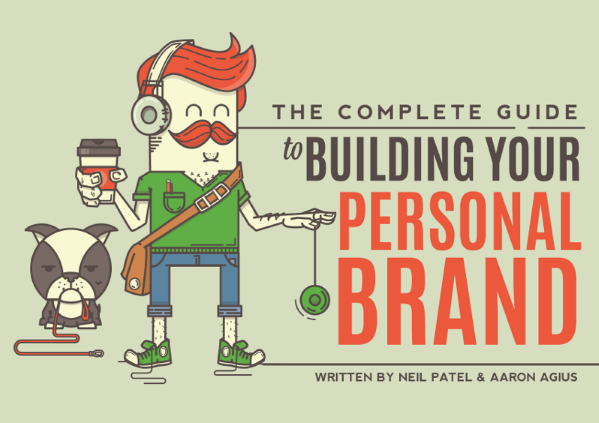 Together with Aaron Agius of Louder Online, he published a free manual to building your personal brand online AND offline. A lot of what they say agrees with my own articles about personal branding here on JobMob, so it's an easy endorsement to make. Plus, they've compiled it in a beautiful, easy-to-follow format. Neil Patel’s Quicksprout Traffic U is the only online traffic school guaranteed to teach you to attract more visitors who will buy from you. Get the traffic your business needs – even if you’re new to SEO… With unlimited traffic-generation and conversion tutorials from the trusted co-founder of KISSmetrics and Crazy Egg. Subscribe to JobMob via RSS or email and follow me on Twitter for more great job search sponsors & prizes. Neil really is a master of branding. Kudos to him for the awesome branding breakdown and for his generous sponsorship.